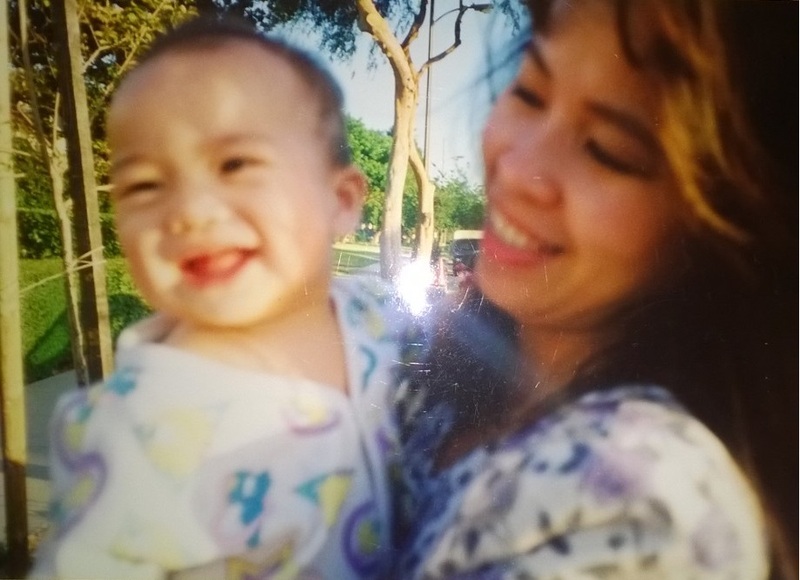 It’s blurry, but it’s one of my favorite pictures of me and my mom. I loved seeing all those posts on Mother’s Day saying they have the greatest mom in the world. It warms my heart. I like to joke to my mom that’s she’s the luckiest woman in the world for having me as a son. But truthfully, I’m so lucky to have this woman as my mom. Sometimes, I stay up late at night wondering how my life has been so blessed. Tonight is one of those nights. We don’t celebrate the small holidays in this family, so Mother’s Day is not a big deal. I don’t even know if my mom knew it was Mother’s Day. But she did end up telling me this story at dinner about how she had to work hard and sacrifice for me and my sister. Now, we hear these stories a lot from my parents (and I’m sure you children of immigrant parents hear it all the time) and it can be annoying. It’s a lot of pressure to make their sacrifices worth it. Most of the time though, it’s almost unbearable for me- hearing these stories about my parents from their perspective… it breaks my heart and inspires me all at the same time. She talked to me about how she had to take a job so she could get insurance while my dad was still in school because she knew she was going to have kids and she didn’t want to take a higher paying job without benefits (nail salon). She talked about how she had to take graveyard shifts at work and she was so tired coming home from work. She talked about how she stayed in El Monte for a time so she could work and take care of us while my dad was down in Mission Viejo so he could make money and work and so they could buy a house in a better neighborhood. She talked about how she and my dad are working to help pay for my sister’s grad school and so they can pay for some of mine to make it easier on the both of us with debt and stuff. I never realized how much planning they did for our future. It was an effort that I hope will pay off. My sister is in college. My dad is working in Seattle. And it’s just been me and mom living at home together. We’ve had our rough moments. I know how much she hates being alone in the house and sometimes I feel guilty going out all the time. She needs me to be the man of the house and sometimes my lazy streak strikes. I know she worries about me and what I’m doing with my life and frankly, it’s up in the air- but she did say she was happy that I have an education and have goals for myself. What’s interesting is that we’ve grown closer, something that I didn’t anticipate, but I’m so grateful for. Today, at work, one of the kiddos read Are You My Mother? by Dr. Seuss. He dedicated the book to his mom and it was so cute. The kid said “Everyone has a mom!”, and although technically true, not everyone has a mom. Not everyone has a great relationship with their mom, so for that, I am blessed. Even though she doesn’t always understand my English, even though she sometimes has antiquated beliefs, even though she can be frustrating at times…she’s still my mom and I lover her. I’m always constantly working on being a better son, whether it’s actively or passively. I’m just glad my mom loves me, and not just because she has to. I hope everyone had a nice Mother’s Day and remembered that you would be nothing without your mom. I’m forever a mama’s boy. PS Shoutout to my dad who, along with everything else he’s given me, gave me my weird sense of humor and desire to make others laugh (judging by these really old pictures I looked through). ~ by Btab on 12 May 2014.